The Holy Week has ended. It was a week of solemn processions which started on Palm Sunday with the blessing of the palms and ended with the Encounter procession, loaded with emotions. During the holy Week, not a household on Mallorca that did not bake some of the typical pastries. Many tuned out to be real chefs in their kitchen, baking the empanadas, robiols or crespells in their traditional wooden ovens. I must say that even I did a good job baking an enormous cuantity of all these delicacies. 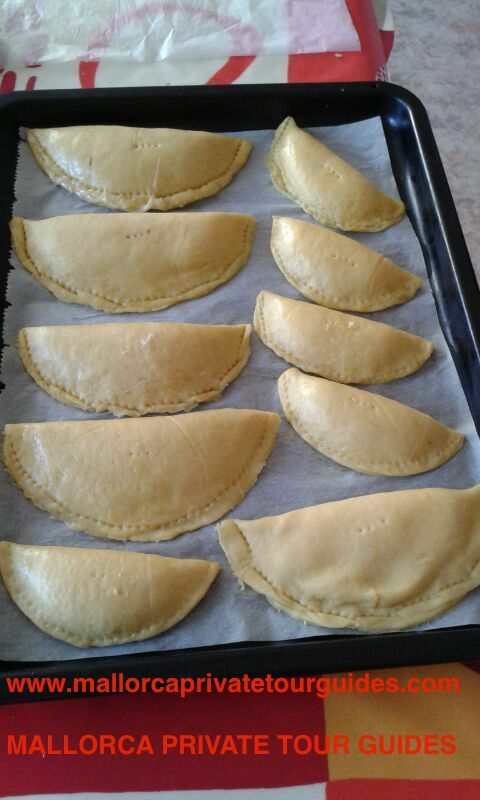 My mother in law baked the empanadas just the way I love them, with a filling of green peas and sobrasada, while the other members of the family all got their personalised empanada. Some with lambmeat and little artichoke and peas, others with an equally amount of meat and vegetables. My daughter and her boyfriend where my kitchen helpers during the making of the robiols. We did not agree on the sweet filling, so we made a bit of everything. We baked robiols with white and dark chocolate, with apricot and strawberry mermalade and with pudding and curd. Everything was just delicious, but way to much. We had a lot of leftovers. But no tears over that! Just what we need for our next celebration : Angel Sunday. 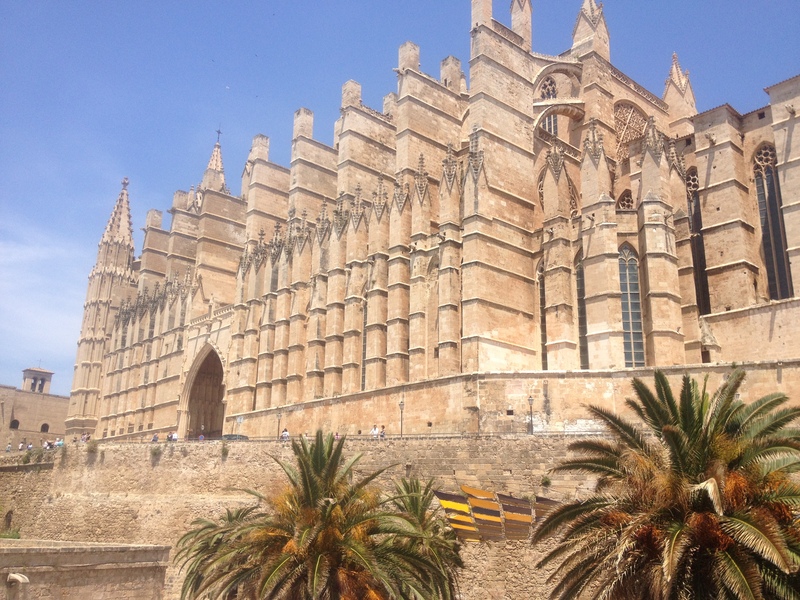 The celebration started in Palma in the year 1407. The villagers came towards the city on that day, to celebrate the Angel, patron saint of Palma and protector of the agriculture.The celebration started with a worship in the Seu, Palmas beautiful cathedral, and during the day the people could enjoy theater. An important celebration was the blessing of the bread, that then was distributed amoung the poor. That is where the popular name “pancaritat” was given for. 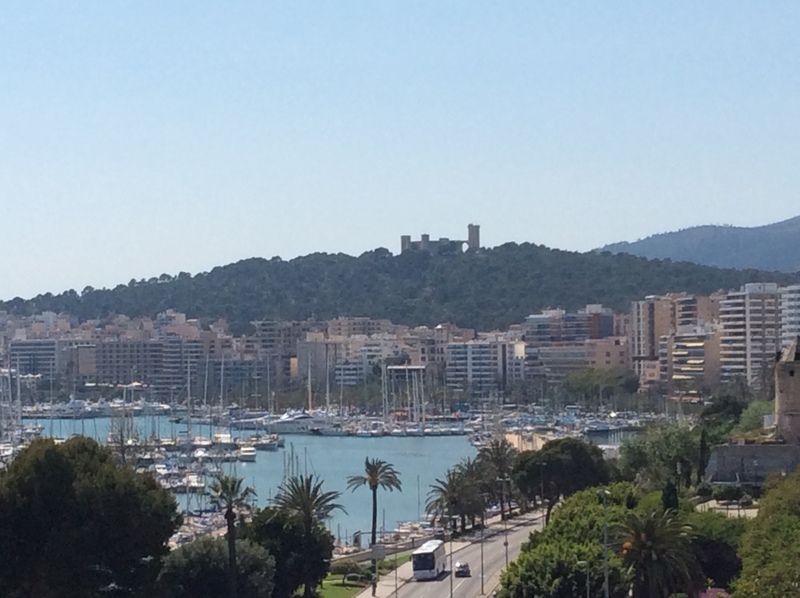 In 1652, Saint Sebastian took over the task as patron saint of Palma, but the Angel Sunday is once again celebrated. This year again, thousends of people are expected on the hill of the Bellver castle. The fun starts around 11, when a big group starts to walk up the hill. At the entrance of the castle, the giants are welcoming them with dance and music of their xeremies. The whole day long, the people can enjoy dance, music, workshops and expositions. So much fun and open air makes the body hungry. That is when people take out their left over robiols and empanadas and distribute them amoung their friends. If you don´t live near the capital, don´t worry. Almost every village or city celebrates the Pancaritat day. Family and friends come together on the highest hill of the village around the local chapel and enjoy the delicious empanadas and robiols. 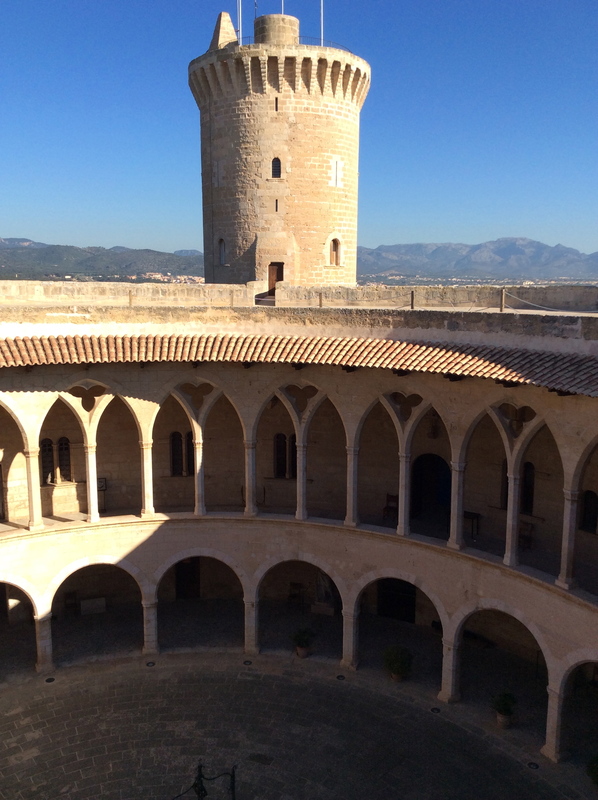 An other experience not to miss in Mallorca. 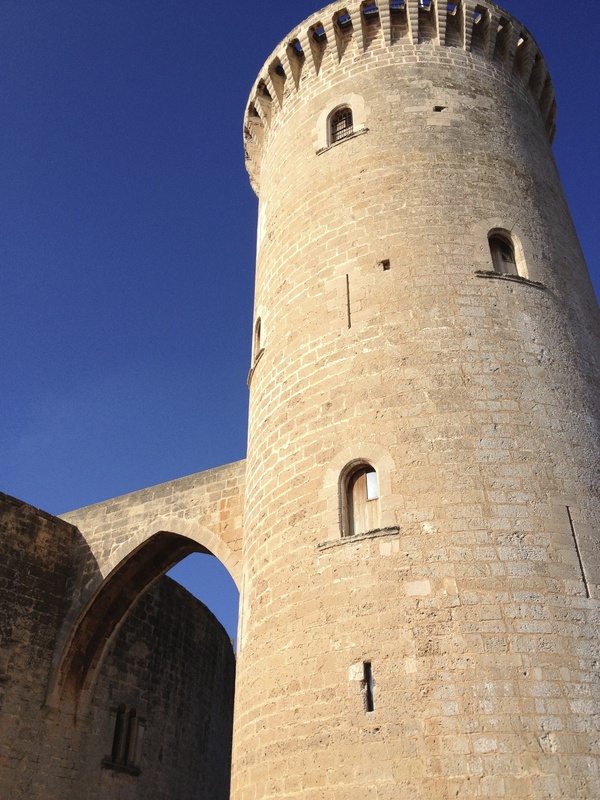 Let us help you to discover the real Mallorca with Mallorca Private Tour guides. Let us to be your tour guide, and with our licensed Tour guides you will discover the majorcan Pancaritats tradition, come and enjoy Pancaritats with Mallorca Private Tour guides. 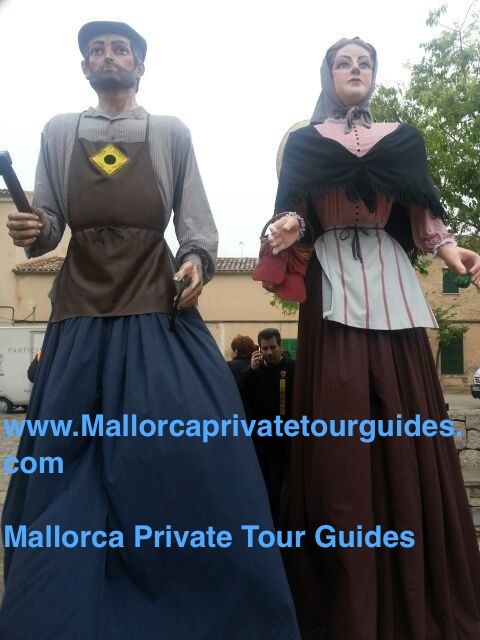 Mallorca private tour guides-find the best licensed TOURGUIDES in Spain We are a team of professional tour guides in majorca spain, we can help you to arrange your shore excursions, private tours, walking tours, city sightseeing. We work with most of the cruise companies calling into the diferent Ports in Spain. We guarantee the best service to ensure you a great vacations, avoid the crowds and simply enjoy your visit. Great service, great value, Let us guide you ....! This entry was posted in Uncategorized and tagged angel, bellver, castle, cathedral, Crespells, easter, empanadas, encounter, guides, holy, licensed, mallorca, palm, palma, pancaritat, pancaritats, private, processions, robiols, seu, sobrasada, Sunday, tour, traditions, week. Bookmark the permalink.